Local councils are pressing for the Bridges Renewal Program to become a permanent Federal Government program. Funding from the program has helped the South Burnett Regional Council repair several local bridges, but across Australia it has been estimated that roughly 20 per cent of timber bridges are in poor condition. The findings came out of the 2018 National State of the Assets: Roads and Community Infrastructure Report, launched recently in Alice Springs. 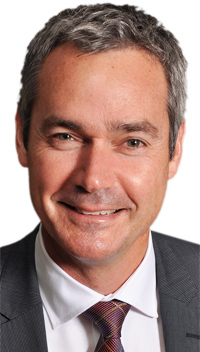 Australian Local Government Association president David O’Loughlin said that despite increased investment to renew bridges, and the continued effort of councils to extend the life of their ageing assets, the backlog of bridges in poor condition remained largely unchanged. “Councils are doing their best to bring these bridges up to a reasonable condition but this report shows the scale of the problem is beyond the current resources and revenue streams available to councils,” he said. Mr O’Loughlin also focussed attention on the pressure being placed on Council budgets with the core Commonwealth funding to local government, Financial Assistance Grants (FAGs), being in steady decline over the past 20 years. FAGs have fallen from 1 per cent of Commonwealth Taxation Revenue in 1996 to just 0.55 per cent now. “The fall in this funding has been swept under the rug for too long and the impact has been most acutely felt in regional and remote councils throughout Australia,” Mr O’Loughlin said. “The Bridges Renewal program helps tackle the backlog in fixing bridges, but a fairer share of Commonwealth taxes is vital to restoring sustainable levels of funding in the longer term, particularly for our regional and remote communities.